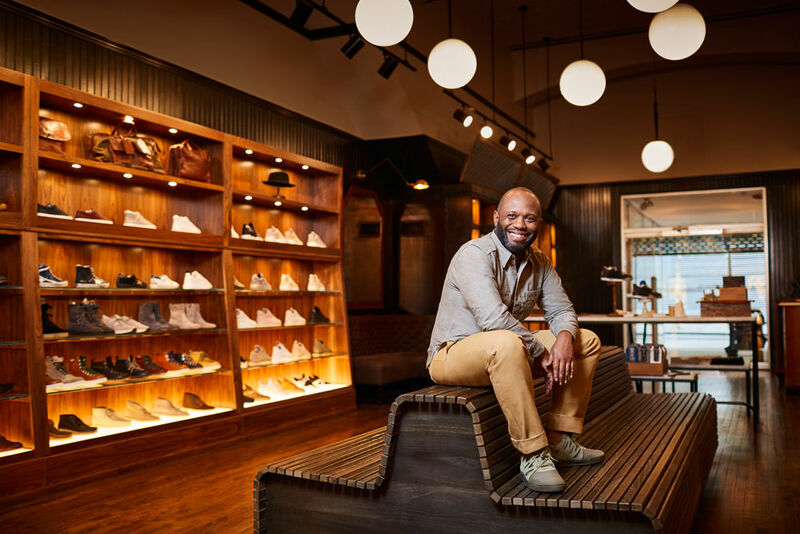 Tayyib Smith is an entrepreneur, co-founder at Little Giant Creative, partner at Pipeline Philly and co-founder at the Institute of Hip Hop Entrepreneurship. Here we get to know him in 20 questions. This morning [I read] Cities and the Wealth of Nations: Principles of Economic Life by Jane Jacobs. Most days, [I read] Twitter, NPR, WURD, The New York Times, Democracy Now, and The Guardian, [along with] Billy Penn, Washington Post, The Inquirer, etc. In the summers in the early 80s I cleaned during the day at my Uncle Lucky James’ night club Whispers, at 13th and Locust. I made $20 a day in 1983; a movie was five bucks and Nikes were $35, I thought I was rich with my little $100s a week. Life was good, I thought I was a baller, shot caller. I don’t know yet, I feel like I’m just getting started. I can be hard-headed with purpose; I deal with rejection well; I don’t need external positive affirmation. I have career, jobs are short term. I work for myself, I have nothing to complain about in that area. I have had awful employers, I’ve suppressed those memories now, I can hardly recall them. I would like diversity to be a holistic priority, not the rhetoric of bullet points in PowerPoints by white-led institutions. By planning ramifications for whoever created said “bad day “for me tomorrow. When I read American history about the black experience, it makes me feel owed. Like everything within sight is owed to me with compounded interest. $$$$. My friend and colleague Akeem Dixon diagnosed me with Irrational Confidence, I say that to say, I am comfortable in spaces most see as risky. Grace Lee Boggs, W. E. B. Du Bois, Lorraine Hansberry, James Baldwin, Paul Robeson, Nina Simone, Toussaint Louverture. When I learned that the Median Wealth Of Black And Latino Families Could Hit Zero By The Middle Of The Century. All actions are motivated by love or fear. My thoughts on love are documented here in an interview with the renowned artist Tatyana Fazlalizadeh. I’ll be on a beach in Mexico in two weeks. Progressive parents who gave me an African-centered education in my youth. Purchase every piece of real estate or empty lot you can get your hands on in urban cores. A stellar reputation for opening doors for others and creating opportunity. I was talking to the daughter of a friend from high school this weekend, she told me she’s going through phases. She’s 15 and in the last year she’s switched from journalism to law, and now to public policy as a focus for her career goals. After talking to her she made me feel like I need to get my life together and focus, she inspired me. Launching Little Giant in 2007/2008, opening Pipeline in 2014/15, developing the Institute of Hip Hop Entrepreneurship—which provides hands-on training to non-traditional entrepreneurs—and the multi-experiential exhibit A Dream Deferred. This year we’re launching Smith n Roller, a project that will focus on historically significant properties that will nurture the arts, commerce and public engagement.